For a little bit more you can even get it shipped by the 23rd. 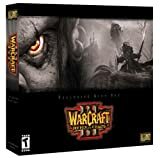 WarCraft III Gift Set for $14.99 at Amazon.com! COUNTER STRIKE for Xbox - just $17.95!!! Half Life 2 Collector's Edition for $34.99! Amazon had an incredible deal on the Half Life 2 Collector's Edition for only $34.99. This includes the game, a t-shirt as well as Counter-Strike: Source, and Half-Life: Source. Half Life 2 Collector's Edition, $59.99 Shipped! Direct from Amazon.com, Half Life 2 Collector's Edition selling for $59.99 + free shipping!